Sugar and Bruno's Long Tie Tee is a shirt that fits any style. 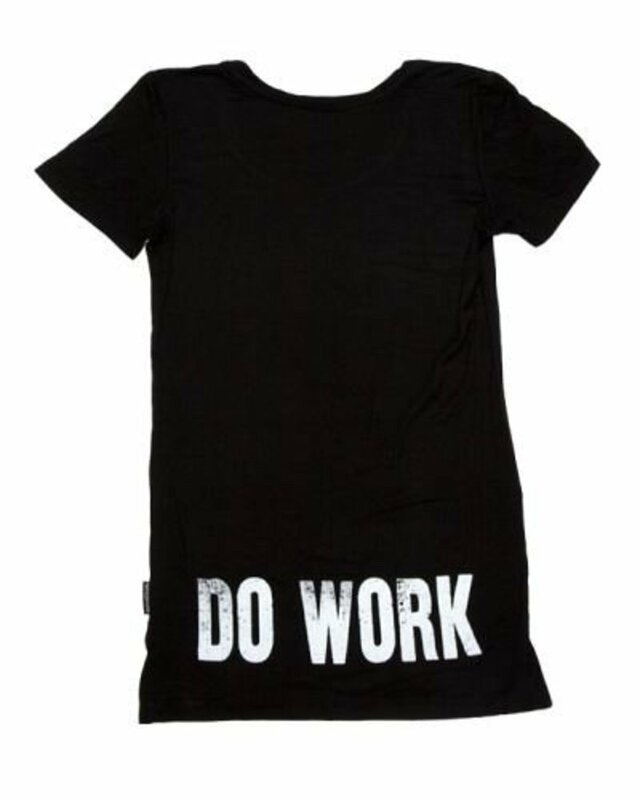 It can be worn as a tee or a skirt by sliding it down to your waist and tying the sleeves. 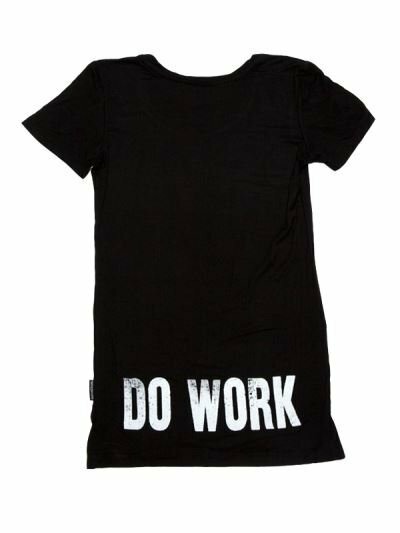 A "Do Work" print is on the back of the tee. 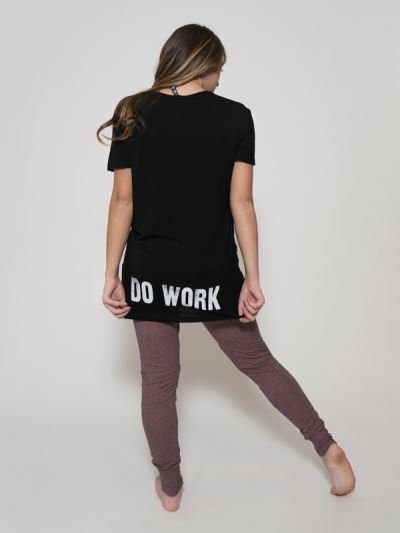 Kayla Kalbfleisch loves to wear it while teaching, which is why this tee is part of her collection with Sugar and Bruno. This shirt would make a great recital or performance gift (even for your favorite teacher)!